The combination of making work as an an artist, teacher and curator in an Island community and context have become fundamental to the work that Helen shows. She is mindful of using exhibition opportunities to make and exhibit work that extends her primary profession of educator. Consciousness raising in the wider community and connecting with different audiences who would not ordinarily experience contemporary art practice is a key component of her own practice. ​When exploring Robert Smithson’s Non-Site theory 1968, she became interested in using the metaphoric significance of sites to add another layer to the work. 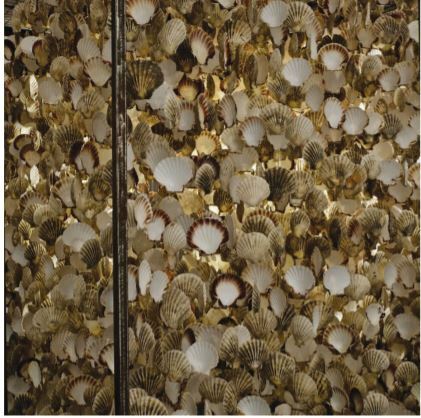 The current work extends further the use of the frame from ‘She Sells Sea Shells’ enabling her to exhibit work in non-sites.